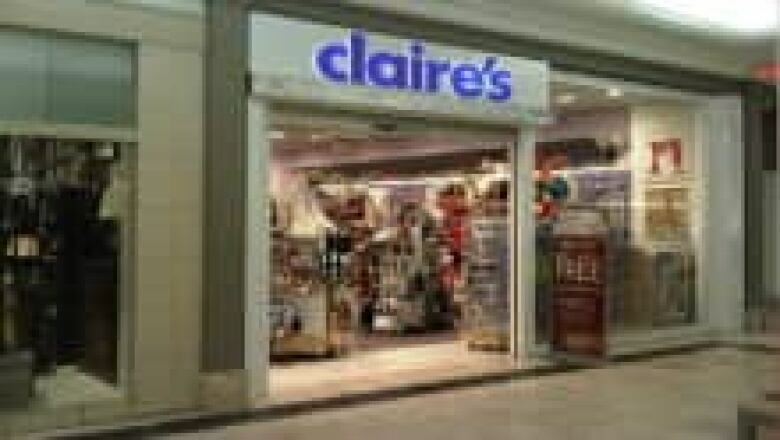 Breastfeeding mom kicked out of Claire's store in N.S. Some concerned mothers in Nova Scotia are lending their support to a Cole Harbour mom who was asked to leave a store in Mic Mac Mall because she was breastfeeding her infant daughter. Some concerned mothers in Nova Scotia are lending their support to a Cole Harbour mom who was asked to leave a store in Mic Mac Mall because she was breastfeeding her baby daughter. Kendra-Ann Nugent said she was shopping at Claire's in Mic Mac Mall on Christmas Eve with her family when her eight-month-old daughter Brooke-Lynn became fussy. Nugent asked an employee for a chair and started to breastfeed her baby in the back of the accessories store. She said she used her husband's winter jacket to cover herself, but while she was in the middle of breastfeeding an assistant manager asked her to leave. "I informed her [of the] rights of mothers breastfeeding, they can feed anytime, anywhere in Nova Scotia," Nugent told CBC News. The province declared breastfeeding a human right in 2000. But she said the assistant manager repeated herself and asked Nugent to leave if she wished to continue breastfeeding. "I left the store immediately. I was pretty shocked and I was upset. I felt bullied," Nugent said. "I [feel] that all mothers in Nova Scotia should have the right to breastfeed… and feel comfortable while doing so." Nugent said as far as she knows, no customers had complained about her breastfeeding. Now a group of advocates is organizing a "nurse in" at the Claire's in Mic Mac Mall on New Years Eve. Nugent's friend Nicole Fraser said she is hoping a lot of people will show up for the demonstration. "We will just be there together to show the store that it's important to understand and to educate their staff so that something like this doesn't happen again," said Fraser. A Claire's spokesperson said the store is investigating the complaint. "We do not have a company policy that would require a mother that is breast feeding a baby to leave our store, so we would not condone such an action," wrote Stacy Forgang in an email. "We will ensure that all our store associates are aware of our policy and are sensitive to these types of situations in the future." It's the second time in a week a Nova Scotia mother has been told to stop breast-feeding in public. Earlier this month a Dartmouth restaurant owner said customers complained about her breastfeeding, sparking a food safety investigation.